What if casual gaming could help people suffering from physical injuries recover faster? This week on Developer Labs, see how two LEAP.AXLR8R teams are gamifying physical therapy to help victims of conditions ranging from stroke to lazy eye. In other news, check out our latest beta preview – version 1.2 of Airspace Home and the Leap Motion software. Plus, futuristic car concepts with touchless controls. To subscribe to our developer newsletter and get updates through email, click here. The Leap Motion Software and Airspace Home v1.2 are now available as a beta preview. This preview includes Italian and Korean support, an experimental app sorting feature, and lots of other improvements. But proceed with caution – it’s only a beta preview! Post your feedback in our forum thread. Safety, simplicity, and songs. 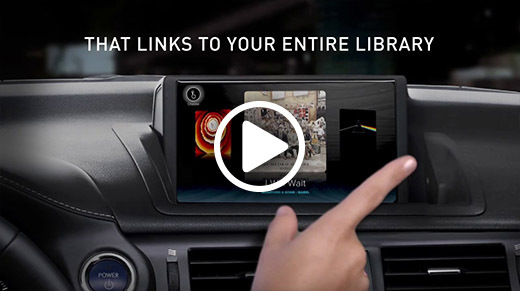 The shark-punchers at Chaotic Moon joined forces with auto parts manufacturer Denso to create an amazing proof of concept – a touchless music player interface that would work in any car. Did they succeed? See for yourself. 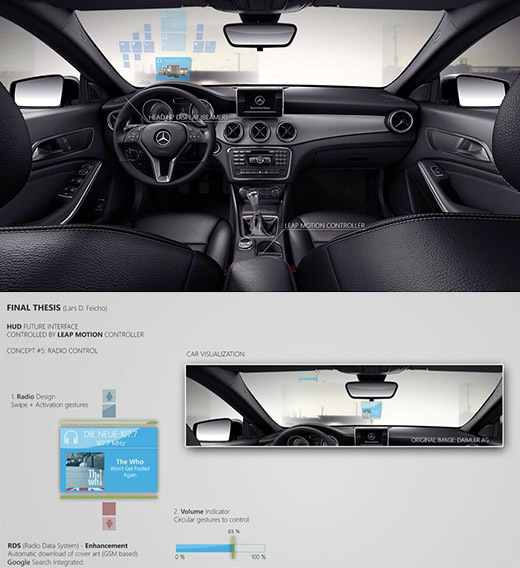 Lars Feicho has also been tinkering with concepts for a touchless vehicle interface. From calls and radio control to travel information, his demos show what might be possible with HUD windshields. You can see more on his Twitter @LFeicho. After a stroke or physical injury, the road to recovery can be long and difficult. Physical therapy is a slow process – dull, repetitive tasks that feel like chores. But what if you used casual gaming techniques to make repetitive actions fun? Could 3D interfaces make it possible for people with eye problems to see in three dimensions? We caught up with Diplopia creator James Blaha to discover how his work with the Oculus Rift and the Leap Motion Controller could change how we see the world. Voice, Cameras & Sensors, Oh My! Our GUI-driven digital world is about to be inundated with natural and voice user interfaces – or it already is! Join Leap Motion experience engineer Daniel Plemmons as he explores the changing face of UX design. Stethoscope courtesy of Wikimedia Commons. Oculus Rift image courtesy of Oculus VR.